If you have issues sleeping, which I’ve learned if you had a stroke – you have issues with sleep, get a sleep mask. It’s really helping me. When I put that thing on my head my damaged brain knows to shut down. 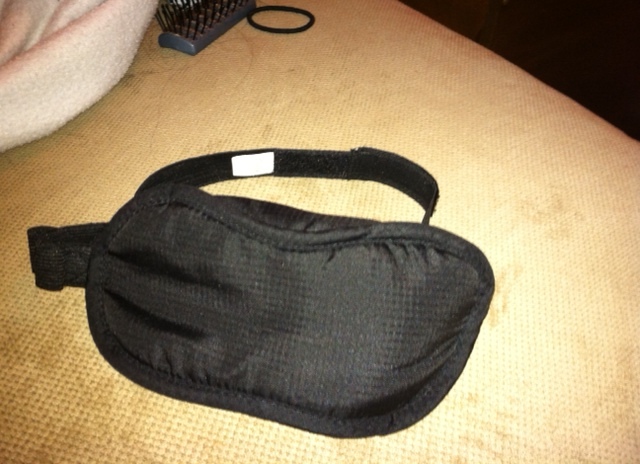 My friend Mandy got me a sleep mask for Christmas and I love it! Thanks Mandy. It doesn’t work ALL the time, but it is certainly helping a lot. I also saw a recommendation to try melatonin…that our poor confused brains aren’t producing the stuff when they are supposed to. I take three times the OTC dose of the OTC stuff at bedtime and it works most of the time. Not all the time but most of the time. Robin how much melatonin do you take and do you have an opinion which brand is best? I haven’t replied yet because I keep forgetting to check the dose when I’m downstairs (in our bedroom) and I don’t want to take an extra trip…I go down the stairs at night and up the stairs in the morning. Anyhow, they are 300mcg tablets and I take three. This is not medical advice for others…it was given to me informally from a non-medical person.